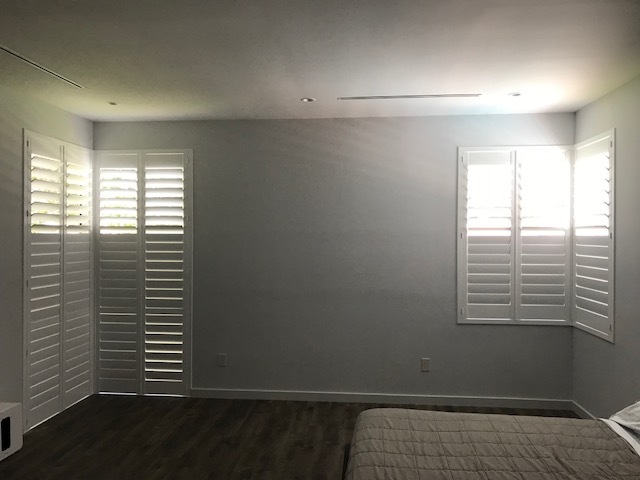 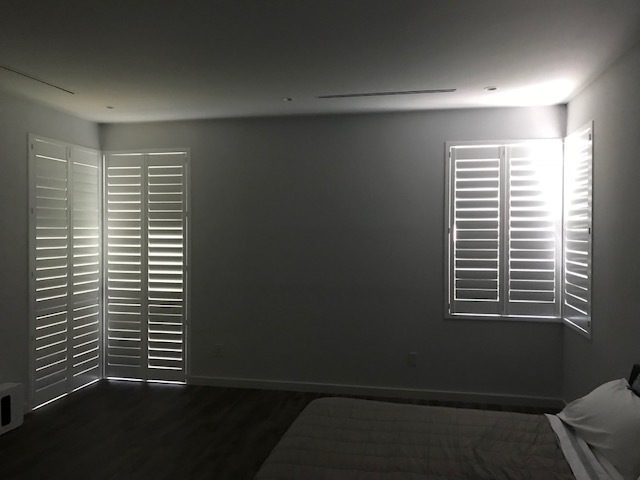 Plantation Shutters are light, durable, and are extremely functional. 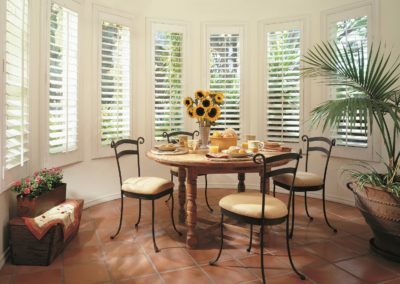 Plantation Shutters add a richness and elegance to any setting. 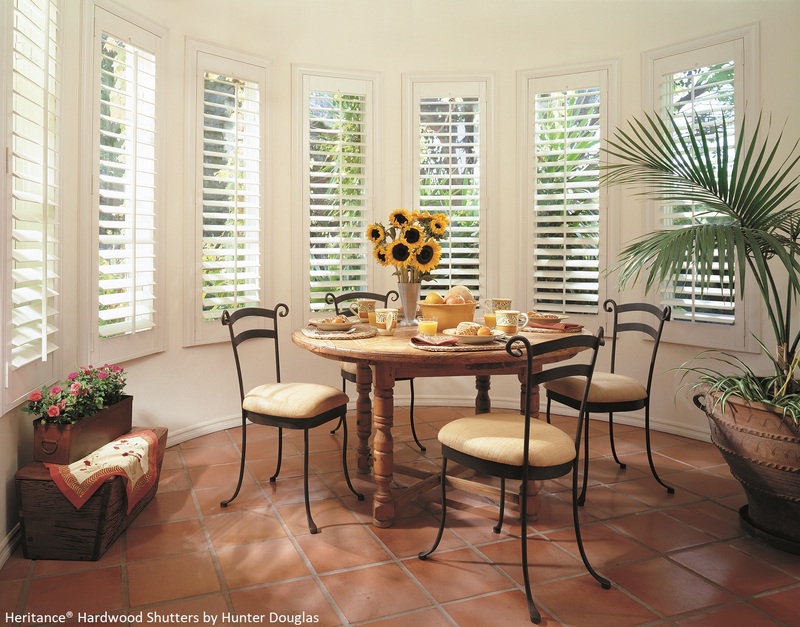 They will also make a lasting impression in any home as they can last for generations. 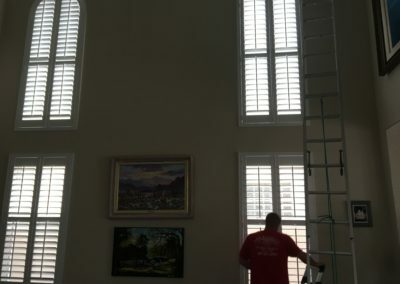 Plantation Shutters are handcrafted to perfection and are available in a wide array of painted and stained colors. 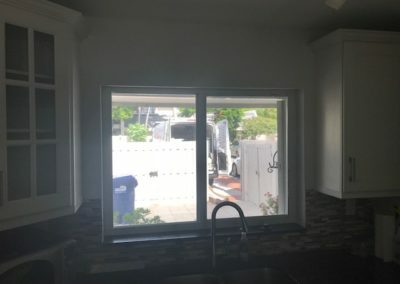 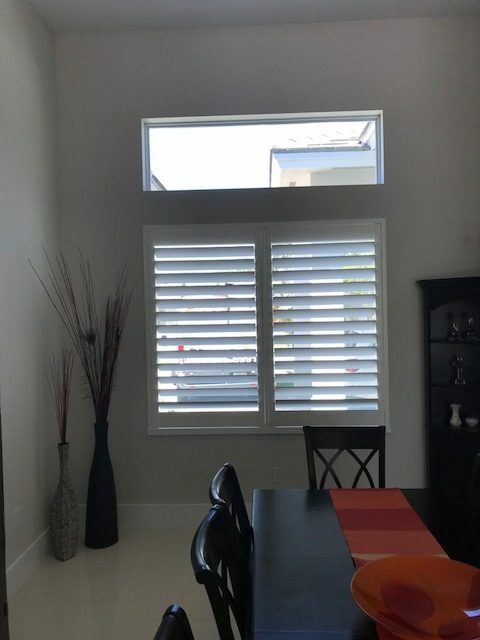 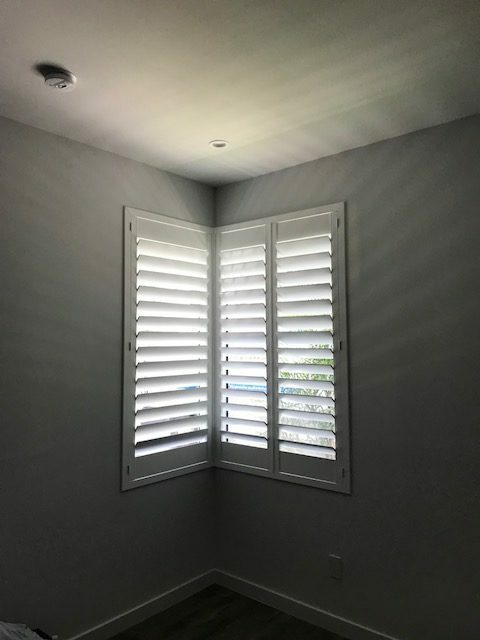 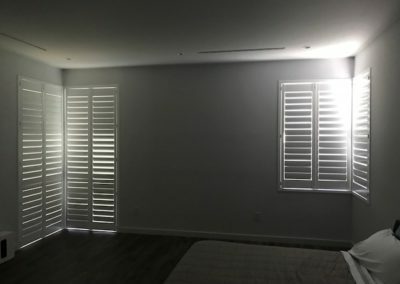 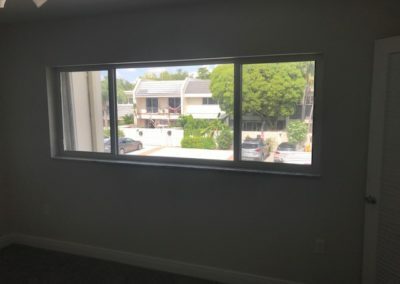 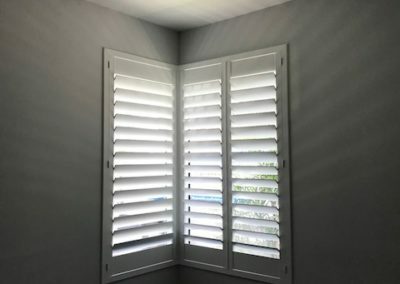 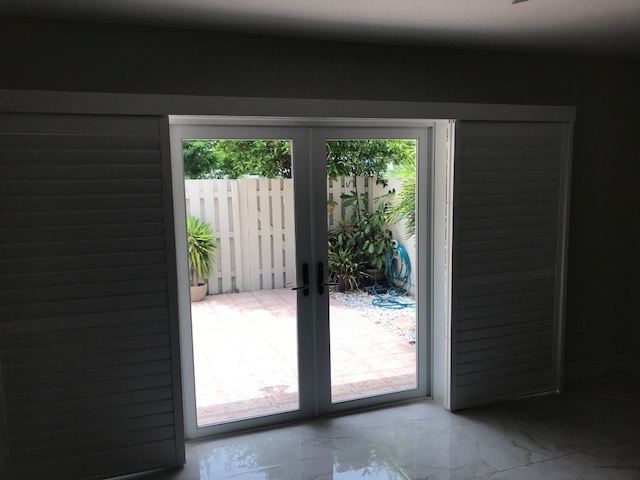 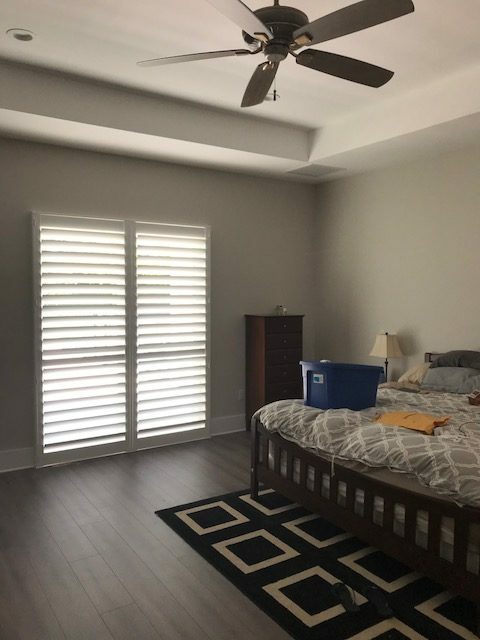 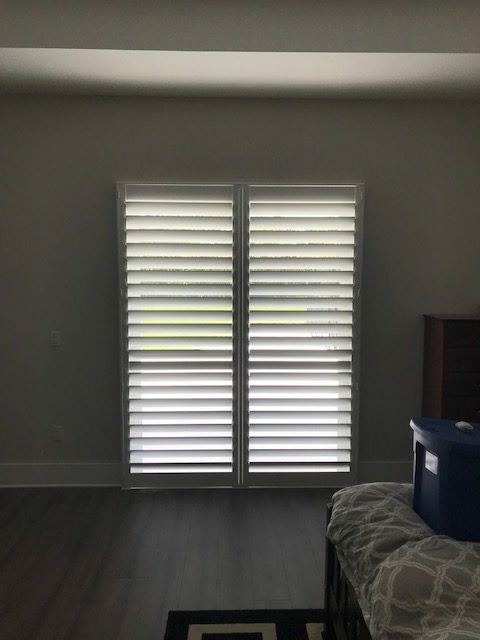 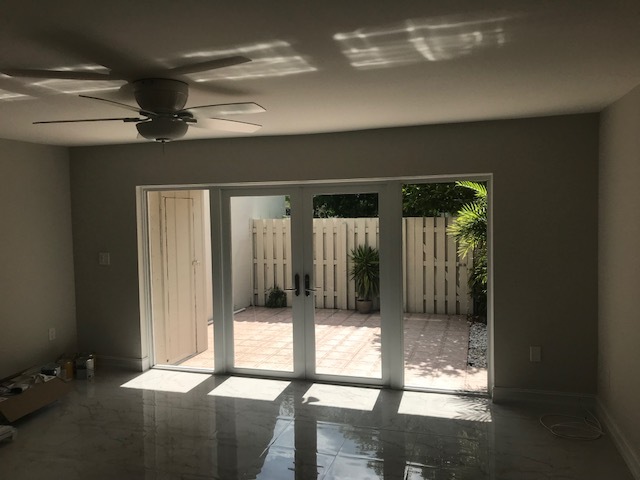 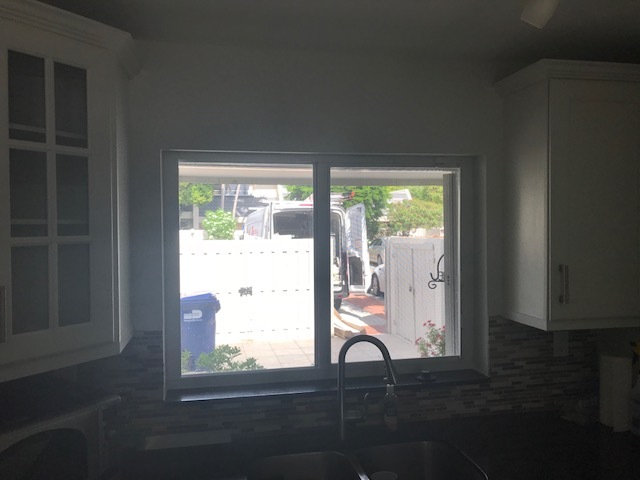 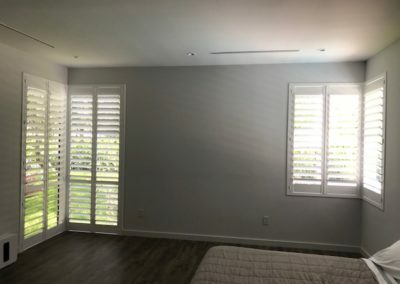 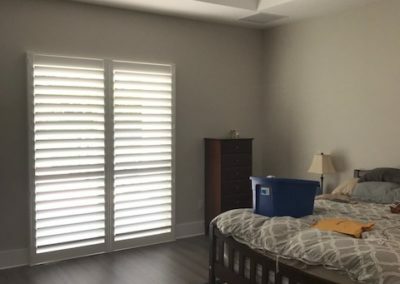 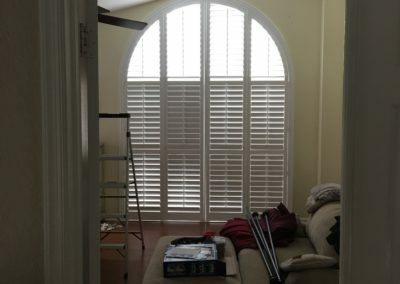 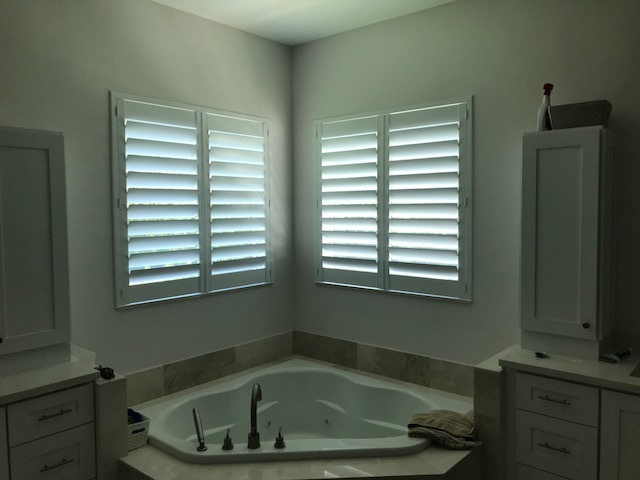 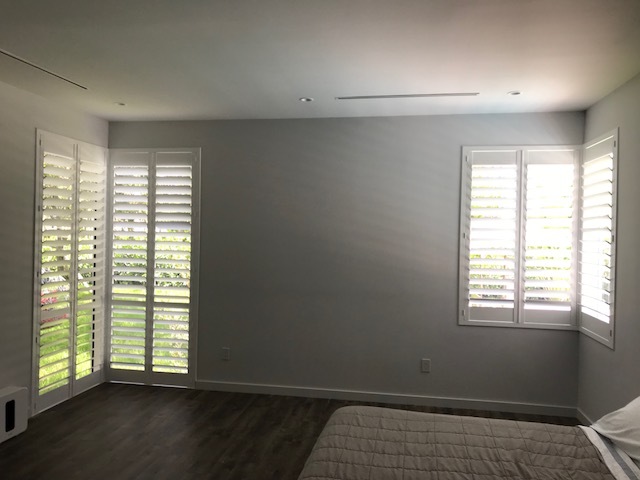 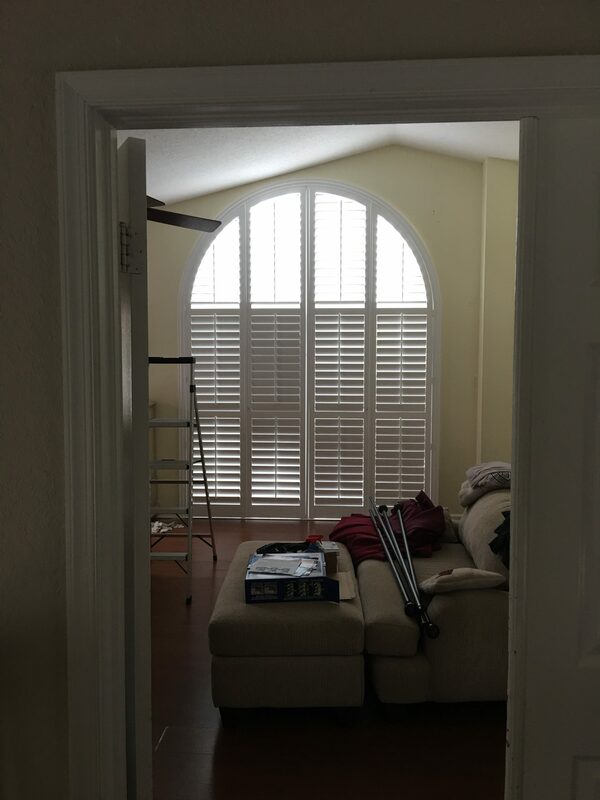 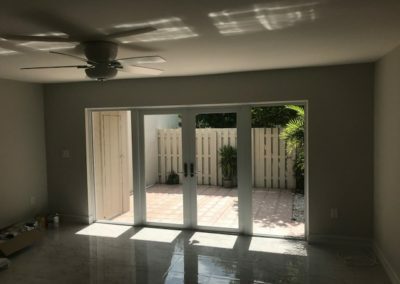 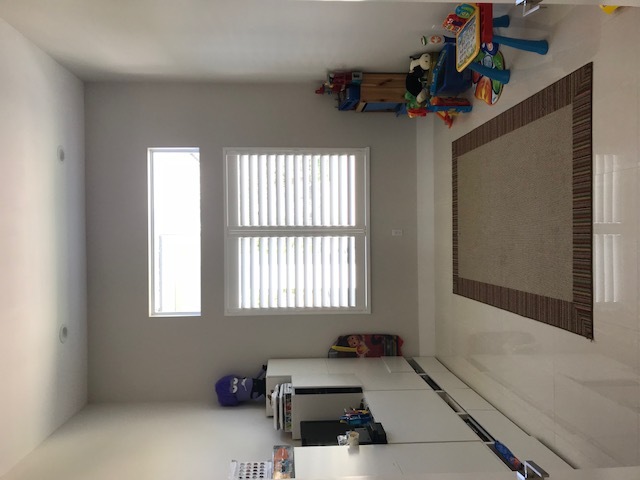 Plantation Shutters have the ability to be manipulated into multiple specialty window shapes and sizes; arches, skylights, Palladian windows, angle tops, etc. 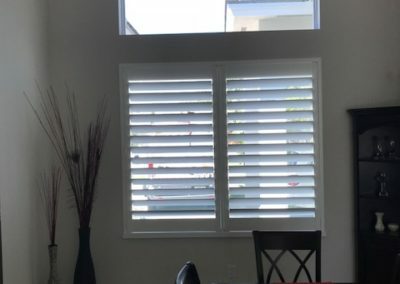 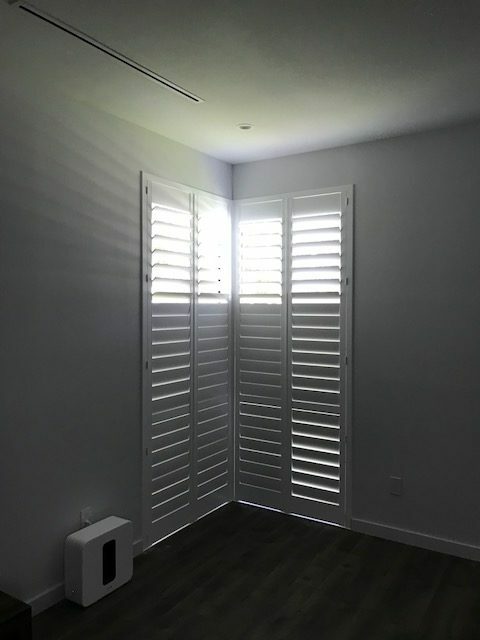 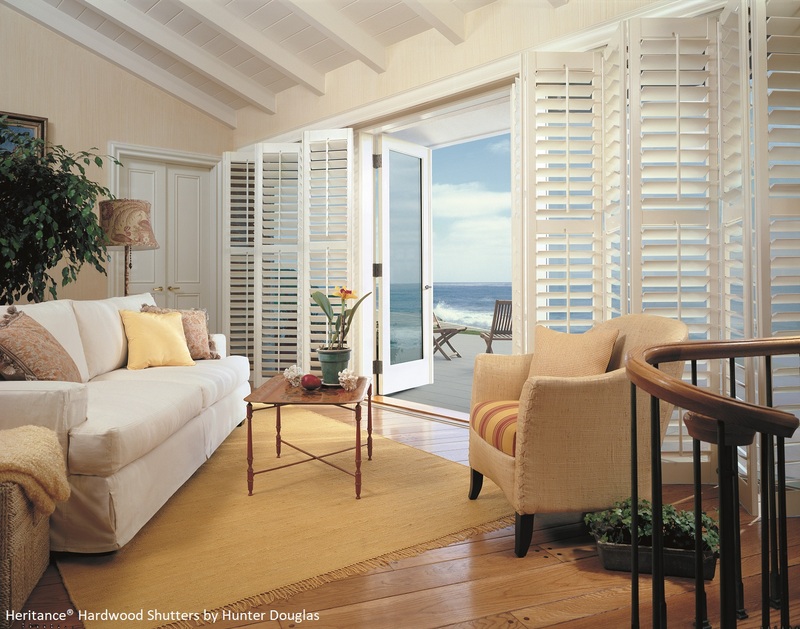 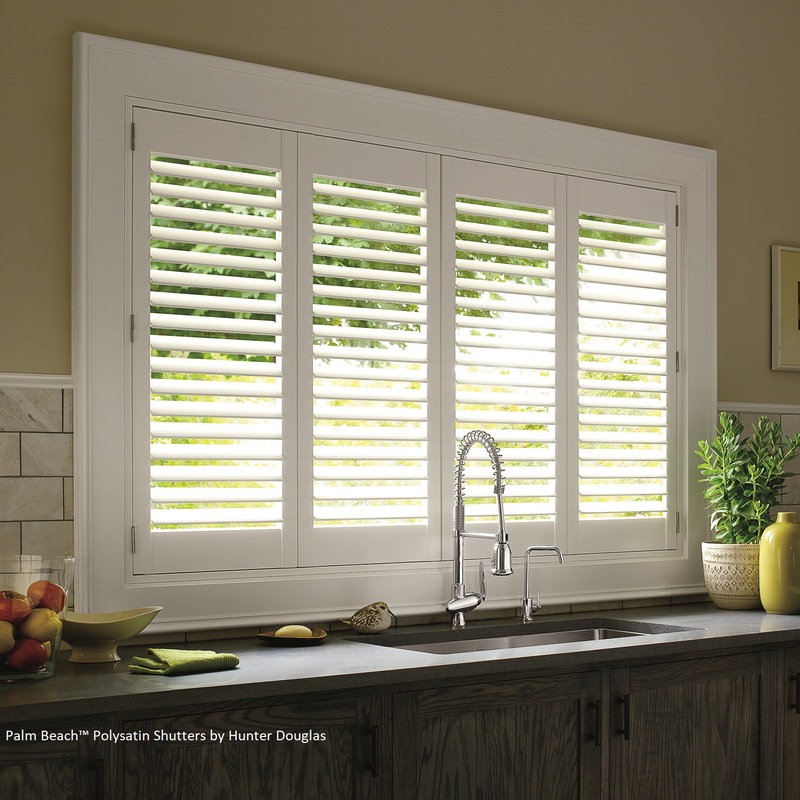 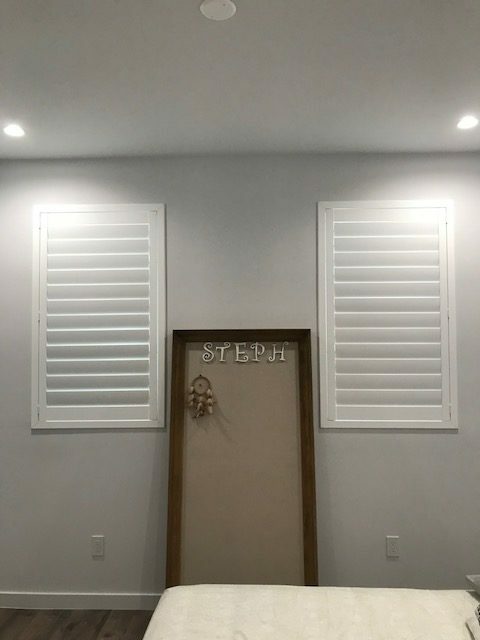 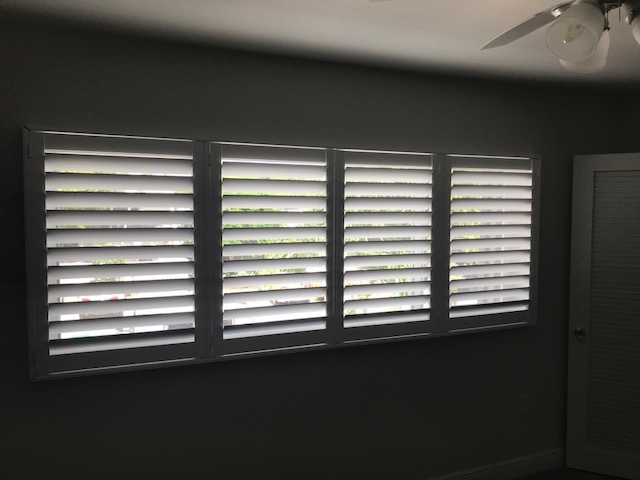 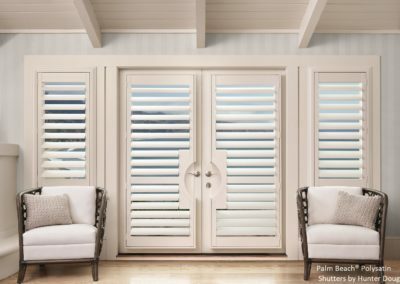 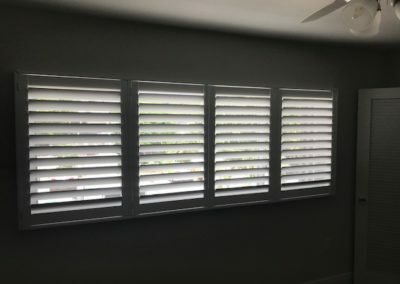 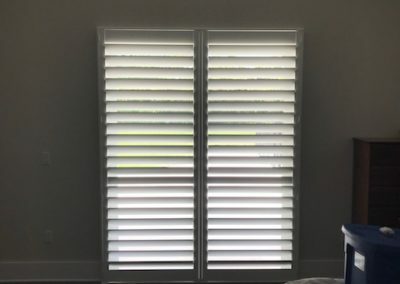 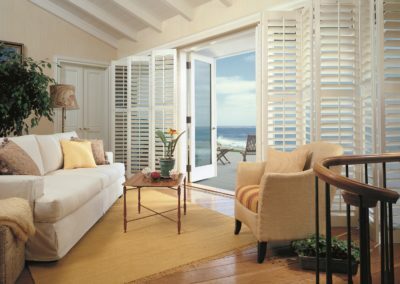 Elegant, custom, and unique to your home, shutters are the ultimate expression of your personality and lifestyle. 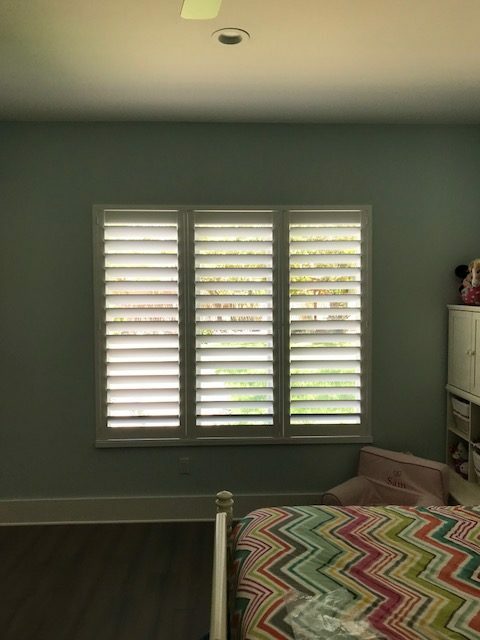 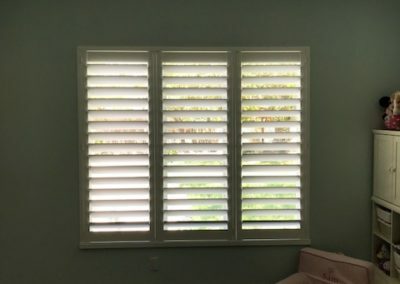 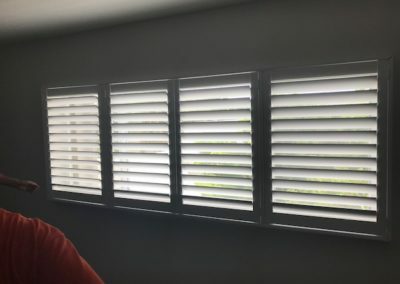 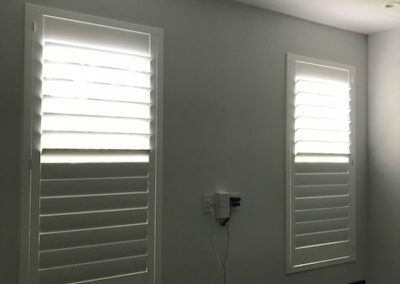 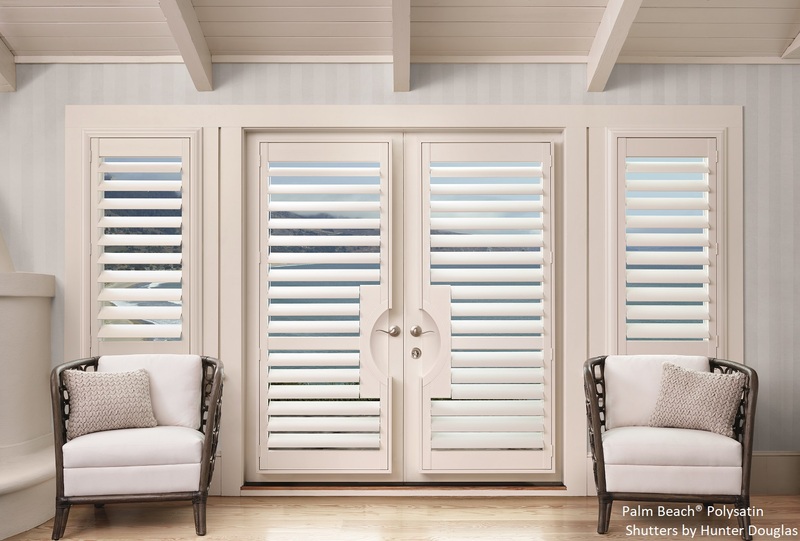 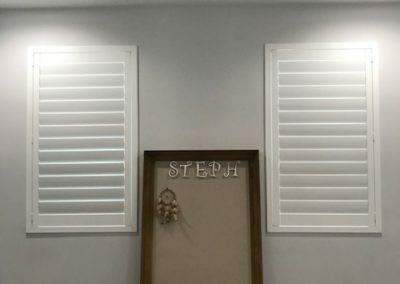 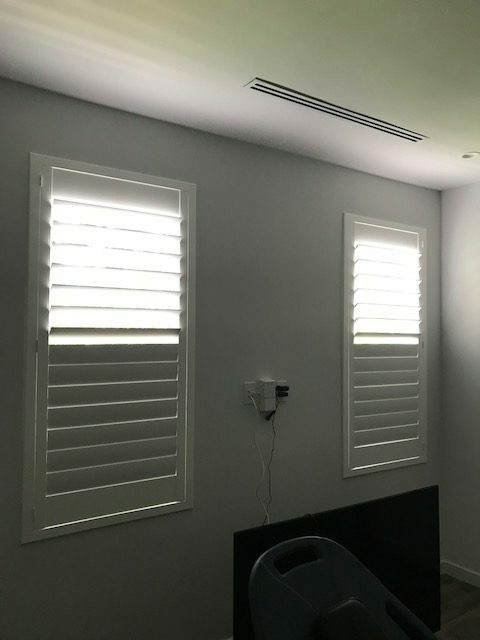 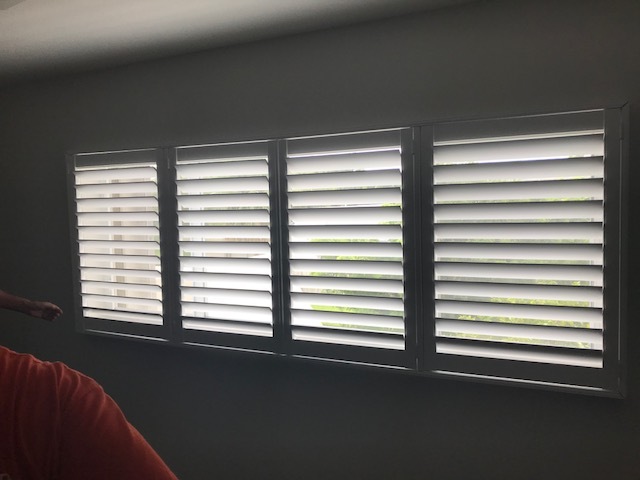 Available in a range of soft colors, Composite Shutters are extremely durable. 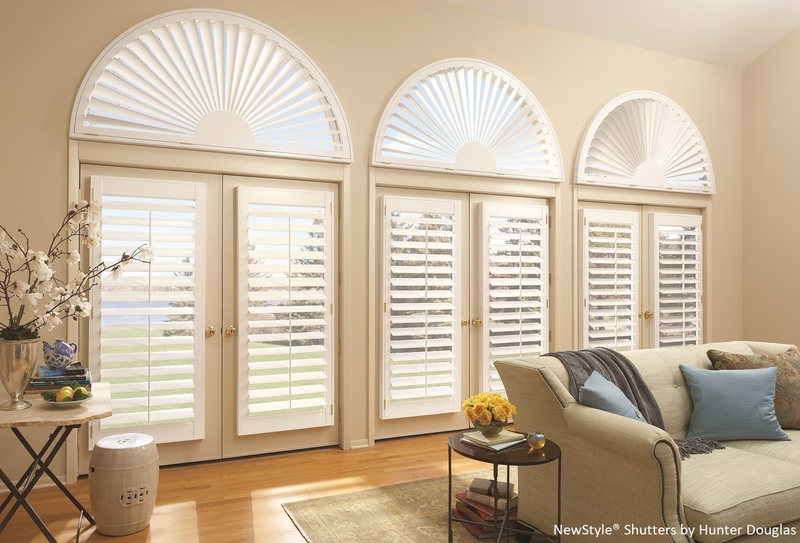 Whether you choose 2 1/2″, 3 1/2″, or 4 1/2″ louvers, this design will last for many years to come. 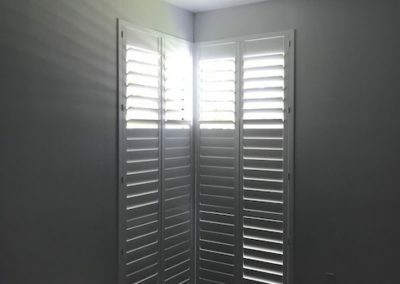 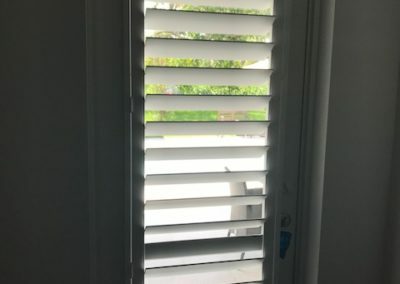 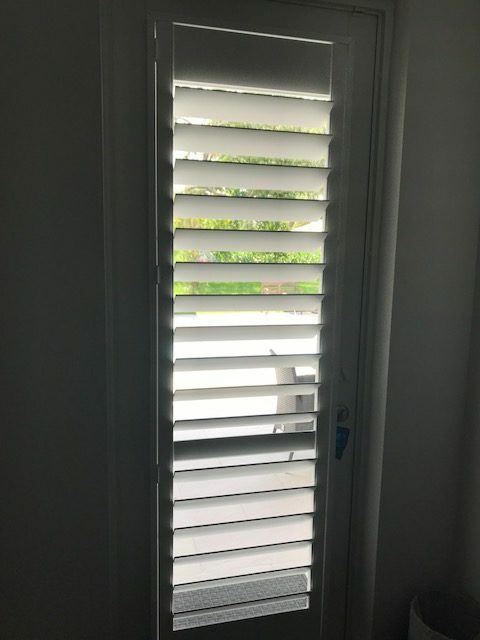 Composite Shutters are resistant to scratches and humidity. 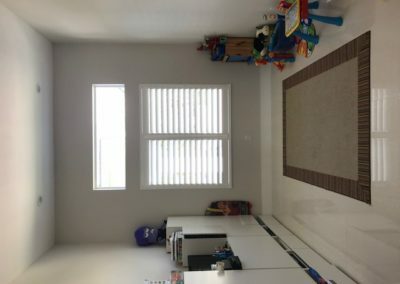 They are ideal for homes with children and pets. 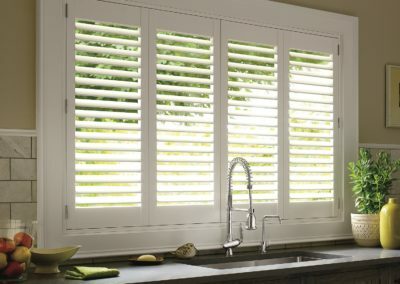 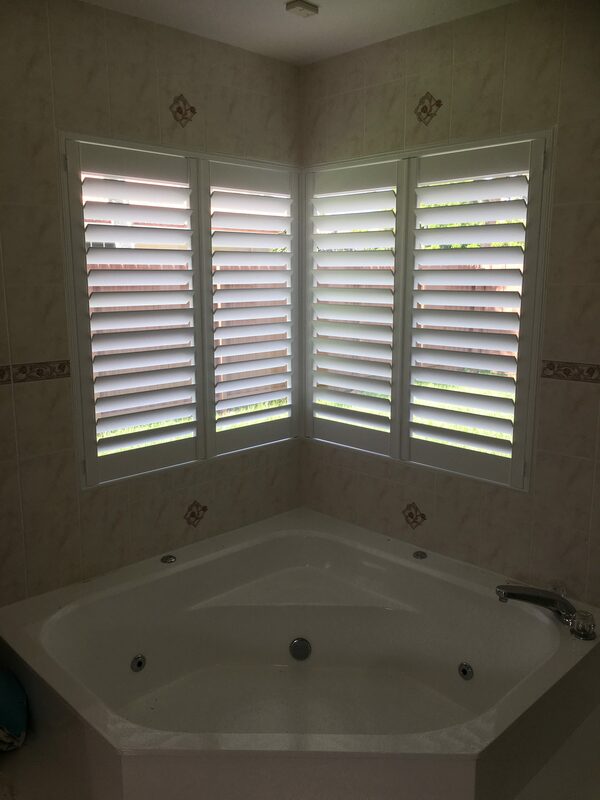 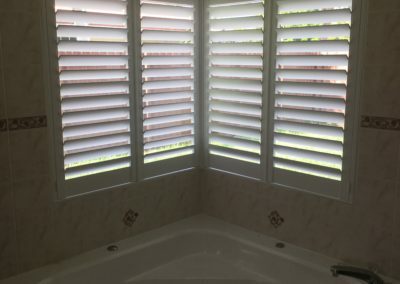 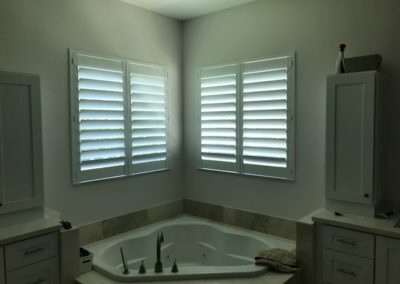 Composite Shutters are also ideal for the moisture present in most kitchens and bathrooms. 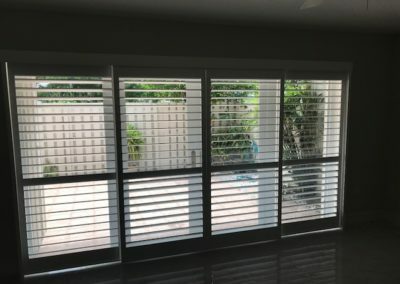 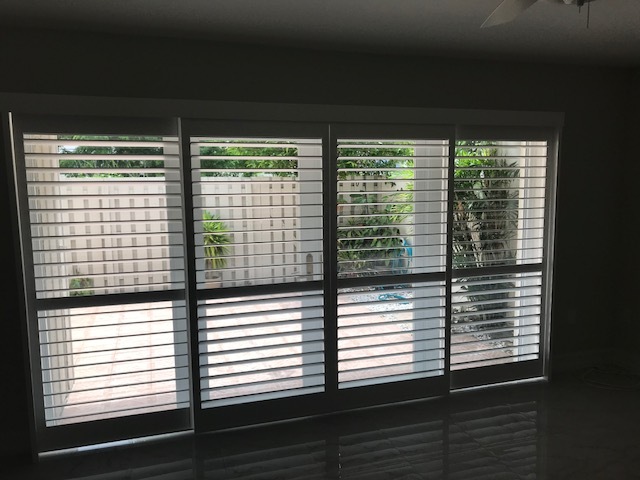 If you are looking for a worry-free design, Composite Shutters will be an excellent choice for your family.